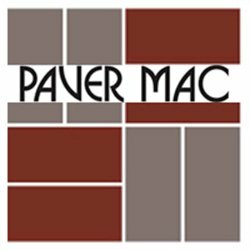 Paver Mac specializes in the installation and design of brick pavers for pool decks, driveways, patios, sidewalks and retaining walls. They really care about their customers and it shows in everything they do. Local wholesale distributor – supplies, equipment and chemicals. Horner is a Florida based wholesaler of equipment and chemicals to the pool industry and they know their trade well. 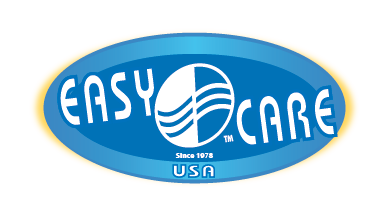 They are the local suppliers of Aqua Cal heat pumps and Auto Pilot salt water chlorinators as well as branded chemicals. We can always depend on their service and products. Local wholesale distributor – supplies, equipment and chemicals. POOLCORP is the world’s leading independent distributor of swimming pool equipment, parts and supplies, and other backyard related products. 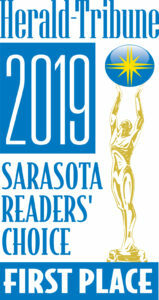 The company operates over 300 locations worldwide with more than 3,400 employees through three networks: SCP Distributors LLC, Superior Pool Products LLC, and Horizon Distributors Inc. We utilize our Sarasota SCP office to purchase practically all the pool equipment we install (pumps, filters, chlorinators and the such). If they don’t have it in stock, they can usually obtain it very quickly from another one of their locations. 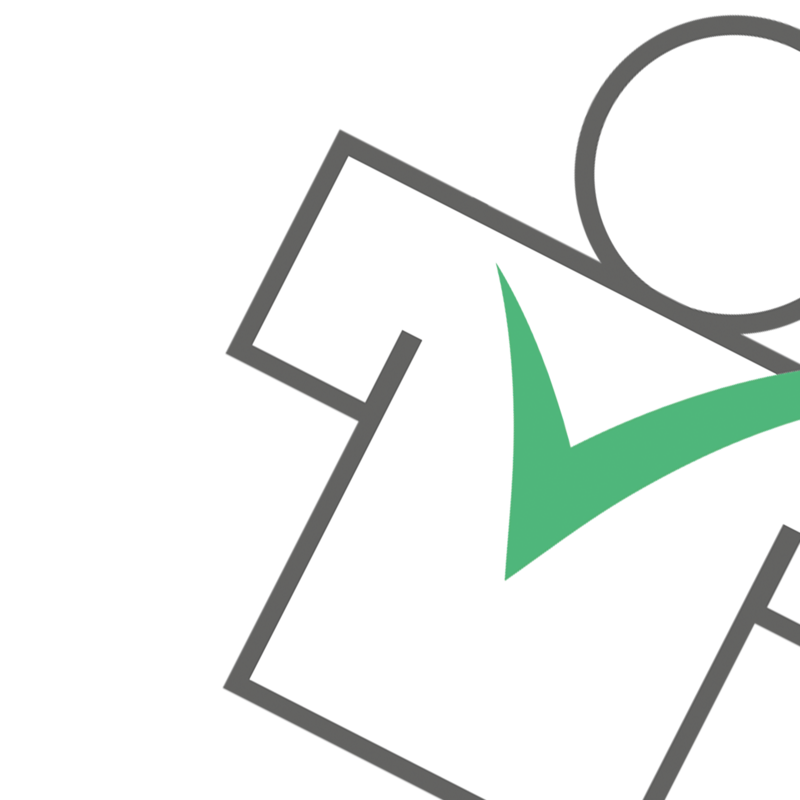 A great resource and a great company. IAS is our go-to supplier for our printing marketing needs, such a business cards, postcards and flyers. They have superb designers in-house and deliver timely and within budget. It is great having them as a local resource. Plus, all their employees are wonderful, including their dynamic owners. IAS specializes in the real estate industry and counts most local Realtors as their clients – but we love them too! Gulf Steam makes value-driven pool heat pump, locally manufactured in Ft. Myers. They make a great product at a great price. Located near downtown Sarasota, we rely on Print My T’s for all our company branded shirts. They do all their work in-house and we have never had a problem with quality, price or service. They are great! 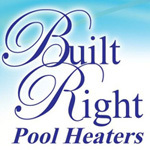 Built Right manufactures excellent heat pumps in Punta Gorda. Their prices, quality and service are fantastic. They even offer one of the strongest warranties in the industry with 5 years parts and labor. That shows they believe in their product. And because they are so local, response time to an issue is rapid – the one time I had a problem with a delivered heater, they replaced it the SAME day with a brand new unit! Pool leak detection is a real specialty. 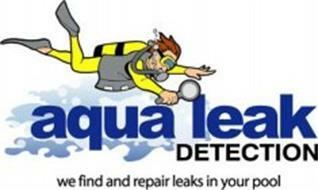 We can sometimes find small cracks/leaks around skimmers but when it comes to finding the source underwater, we always depend on Aqua Leak Detection. They are the best and they stand by their work. If your pool is leaking, they will find it – and repair it. R.E Johnson is a dependable, affordable and talented electrical contractor. When we have needs for electrical work, outside our license, we call R.E Johnson. Signs in One Day is located on Bee Ridge Rd. in Sarasota and has always been our source for truck signage. They even supplied me with the sign magnets I put on my first truck (an old white Dodge) back in 2004. We have been using them since and have never been disappointed. Their name says it all. This company offers 1st class pressure washing and roof cleaning. One of their specialties is a chlorine-free roof ‘shampoo’ which delivers exceptional results without any harmful chemicals. A great team and a great company. SCORE is a excellent organization. It has 300 chapters across the U.S. and offers FREE mentoring for small businesses. I used them as a resource when I started OTPS and they were of great assistance. Most mentors are retired industry executives looking to give back/contribute to the community. 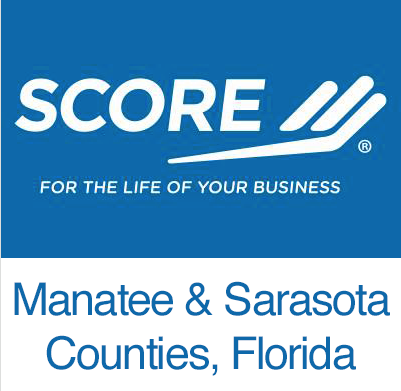 Interestingly, the Mannasota chapter of SCORE is one of the top chapters in the country, not only due to its leadership but also due to the great ‘retired’ industry leaders who now call Sarasota/Manatee their home. Don’t pass up this wonderful resource if you need local assistance with your company – or if you have a talent to share with others. I love this company’s name. Again, it says it all…Urine Good Hands – ha ha, that’s classic. We use them to screen our new employees to insure there are no “surprises” or hidden drug use issues. Just one of the steps we use to help guarantee we are hiring the best people for our firm. 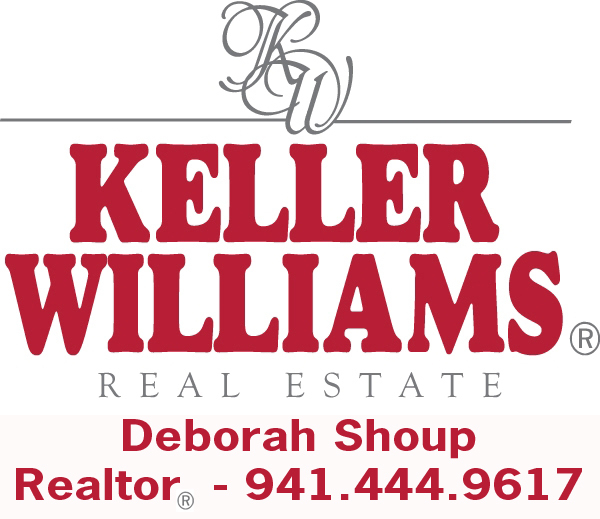 Deborah is a superb local agent backed by a great national company. Always willing to ‘Go the extra mile’ to provide a fantastic service. 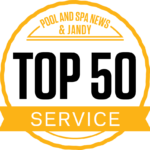 Jandy is a national manufacturer of quality pool equipment, including automation, heaters, pumps, filter and sanitization. Their TruClear salt water chlorination system is one of our favorites. A national manufacturer of great specialty pool chemicals, SeaKlear makes our favorite algaecide and phosphate remover systems. One of the largest companies in pool equipment, Hayward manufactures quality heaters, pumps, sanitizer, filters, automation systems and other equipment for both commercial and residential pools and spas. 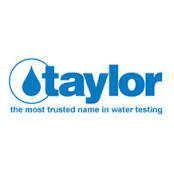 Taylor is the name to know in water testing chemicals to measure pH, alkalinity, chlorine content or any other important parameter. Pentair is our #1 preferred manufacturer of pool equipment. They make it all for commercial and residential pools and in our opinion, they make the best. Their variable speed pumps are far superior to any others. Nirvana, located in Canada, makes quality, high efficiency heat pumps. When I was choosing a heat pump for my pool, I choose a Nirvana because of their warranty, energy efficiency, price – and it looks good too! 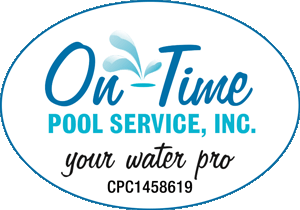 This company makes very specialized products for the pool industry, focusing on enzymes and catalysts to boost chlorine efficiency. Located in St. Petersburg, Aqua Cal makes very good pool heat pumps. Their most famous is the Heat Wave and is commonly found on new construction pools. We have been a supporter of Concern Worldwide since the early days of our company. Concern Worldwide focuses on helping the world’s poorest of the poor. They give back 92% of their contributions to their programs and only 4% to administration costs (the other 4% is for fundraising). If one has the means, providing assistance to those with less, makes the world a better place.